If ever the Humanities were necessary, if ever they should be recognized as inherently realistic essentials of life, it is in this epoch of disintegration and dislocation. The first half of the decade covered by this correspondence coincides with the Second World War, which understandably altered the lives of the Blisses and the Tylers. Royall and Elisina Tyler spent most of the war in Geneva, unable to travel either to Paris or Antigny; they would not return to Paris until November 1944 and Royall Tyler would not return to Antigny until August 1947, his first visit there since January 1940. After a prolonged stay at Casa Dorinda in Montecito, California, the Blisses returned to a new house in Washington, where they remained for most of the war. All four friends took on war-related causes, with the Blisses also helping to involve Dumbarton Oaks in the war effort. Indeed, the Blisses continued to be actively involved with the fledgling Dumbarton Oaks. In one instance, in 1942, they sold a Whistler painting, Nocturne in Blue and Silver: The Lagoon, Venice,See http://www.mfa.org/collections/object/nocturne-in-blue-and-silver-the-lagoon-venice-32837. The Blisses first lent the painting to the Fogg Museum, where, knowing that the Blisses wanted to sell it, Edward W. Forbes showed it to the curator William George Constable, of the Boston Museum of Fine Arts. Edward W. Forbes to Robert Woods Bliss, May 15, 1942, Dumbarton Oaks history files, Edward W. Forbes correspondence, Dumbarton Oaks Archives. to the Boston Museum of Fine Arts to increase operational endowment to help make certain that Dumbarton Oaks would survive. As Mildred Barnes Bliss wrote to Paul J. Sachs: “We understand, of course, the financial uncertainties of the times—who better?!! . . . If ever the Humanities were necessary, if ever they should be recognized as inherently realistic essentials of life, it is in this epoch of disintegration and dislocation. We feel very strongly that whatever can be done—within reason—for living scholarship should be done by Dumbarton Oaks.”Mildred Barnes Bliss to Paul J. Sachs, May 9, 1942, Dumbarton Oaks history files, Paul J. Sachs correspondence, Dumbarton Oaks Archives. In 1942, the budget allocation at Dumbarton Oaks for art acquisitions was $2,000. In a letter to John S. Thacher of November 24, 1942, Mildred Barnes Bliss complained of this: “The allocation of only $2,000 for acquisitions is far too small, as opportunities are now going to occur. Can’t it be increased?” A marginalia in pencil by Thacher reads: “Not this year,” Administrative files, John S. Thacher correspondence, 1939–1949, Dumbarton Oaks Archives. After the war, in June 1946, the Blisses created a fund of $100,000 and the interest thereof “for the acquisition of objects of art useful in promoting the study and research at Dumbarton Oaks in the humanities and fine arts, with especial emphasis upon Byzantine art and the history and culture of the Eastern Empire.” In 1948, the Blisses also gave $49,000 in securities “to be applied to the acquisition of objects to be added to the collection at Dumbarton Oaks.” Specifically, this was to acquire Hayford Peirce’s five thousand-piece coin collection. Blissiana files, Bliss Gifts to Harvard University, Dumbarton Oaks Archives. Robert Woods Bliss, in an address to the Harvard Club at Dumbarton Oaks on April 8, 1943, echoed the latter sentiment in Mildred Barnes Bliss’s letter when he stated: “Now that dark nights have descended over Europe and eclipsed the great centres of mediaeval study in Prague, Budapest, Vienna, and other cities, it is our hope that Dumbarton Oaks will carry the lighted torch in the Western World.”Administrative files, John S. Thacher correspondence, 1940–1949, Dumbarton Oaks Archives. Because the war had greatly diminished the availability of artworks for sale in Europe, Royall Tyler was able to find and recommend only a limited number during and immediately after the war years. The Blisses increasingly turned to dealers in America, some of whom were expatriate Europeans, as they also began to refocus their collecting interests: Robert Woods Bliss in acquiring Pre-Columbian artworks and Mildred Barnes Bliss in building a garden library of rare botanical and garden design books. The increased interest in these two collections would eventually change the scope of Dumbarton Oaks. In 1947, the Blisses travelled to Europe, where they were reunited with the Tylers in Paris, and then went on to Istanbul, their first visit to that city. In Paris, as they had so many times in the past, the Blisses and Tylers made the rounds of the antiquities dealers and acquired Byzantine objects for Dumbarton Oaks. With Tyler’s posting to the Middle East in late 1949, he was once again in a position to undertake what he enjoyed most: visiting dealers and seeing objects new to the market that he could recommend for acquisition. When Robert Woods Bliss wrote him on December 13, 1949, the subject and tone of the letter were reminiscent of the correspondence before the war: “First of all, our best thanks for sending us photographs and word about the new objects, which BustrosElias (Elie) Bustros, an antiquities dealer in Beirut, Lebanon. had shown you. The gold findBZ.1950.36, BZ.1950.37, and BZ.1950.38. is certainly what Dumbarton Oaks needs and wants, and the glass jugBZ.1950.34. also fills a gap in the collection.”Robert Woods Bliss to Royall Tyler, December 13, 1949. 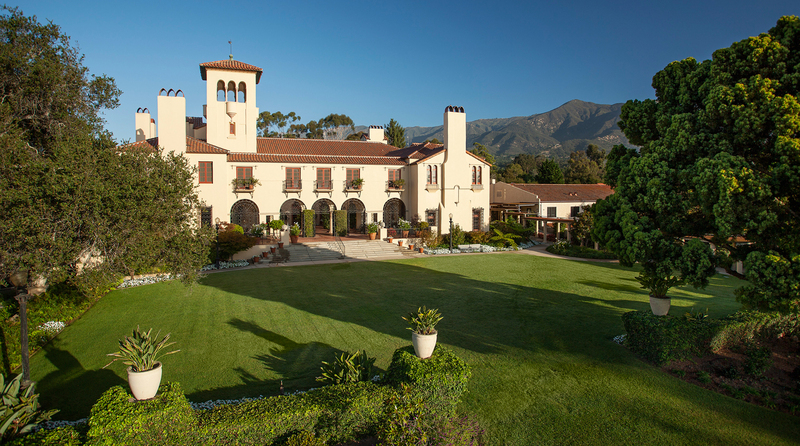 Casa Dorinda, the Bliss estate in Montecito, California. In January 1941, after the legal transfer of Dumbarton Oaks to Harvard University, Mildred and Robert Woods Bliss went to Casa Dorinda in Montecito, California, for the winter season. While there, Robert Woods Bliss contracted a gall bladder infection that eventually required surgery, in August 1941, and convalescence in California for more than a year. He returned permanently to Washington, D.C., in October 1942. Soon after his arrival, he acquired a new Georgetown residence at Q and 28th Streets, N.W.The address of this property is variously given as 2750 Q Street, N.W., and 1537 28th Street, N.W. Bliss took possession of the house on November 25, 1942. He also became a consultant to the division of cultural relations at the U.S. Department of State. Mildred Barnes Bliss remained in California until December in order to facilitate the November transfer of Casa Dorinda to the U.S. Navy, for use as a recuperation and recreation center for military personnel returning from fighting in the Second World War.The cost of maintaining the property proved to be prohibitive for the Navy, and the estate reverted to the Blisses in 1943. In 1946, the Blisses sold the property to Dr. Homer F. Barnes, who opened a day and boarding school, the Montecito School for Girls, which eventually closed, in 1956. The Blisses also greatly regretted missing the opening festivities of the National Gallery of Art in Washington, on March 17, 1941. In honor of the Gallery’s opening, the Blisses lent old master prints to the Library of Congress.“240 Prints Showing at Library,” Washington Post, March 30, 1941: “In honor of the dedication of the new building of the National Gallery of Art, the Library of Congress is showing a special exhibition of 240 prints and print-books. The old masters are represented by an outstanding collection that has been loaned to the library by Mr. and Mrs. Robert Woods Bliss.” Dumbarton Oaks hosted a dinner and concert for VIP attendees to the Gallery’s inauguration and gave a tea for out-of-town museum professionals and others. On March 28, Mildred Barnes Bliss wrote to Edward W. Forbes, director of the Fogg Museum and a member of the Dumbarton Oaks Administrative Committee: “How pleasant and fortunate to all that Dumbarton Oaks was a going concern before the National Gallery was opened, so that you were all able to participate in offering hospitality to the distinguished guests from all over the country. When you next write me, do tell me what you thought of Forbes Watson’sForbes Watson (1879–1960), a New York art critic, lecturer, and administrator. editorial in the Magazine of ArtForbes Watson, “The Benefit of Great Art,” Magazine of Art 3 (1941): 113–14. on the great Mellon Collection.Andrew William Mellon (1855–1937), an American banker, businessman, industrialist, philanthropist, and art collector. He served as the U.S. Ambassador to the United Kingdom and as U.S. Secretary of the Treasury (1921–1932). In 1937, he donated his substantial art collection, collected at a cost of twenty-five million dollars and valued at forty million dollars, plus ten million dollars for construction, to establish the National Gallery of Art, which had been authorized by Congress, in Washington, D.C. It had, to me, an unfortunate obliviousness to the affection that collectors feel for the objects they assemble.”Mildred Barnes Bliss to Edward W. Forbes, March 28, 1941, Dumbarton Oaks history files, Edward W. Forbes correspondence, Dumbarton Oaks Archives. She was referring to Watson’s dismissal of collectors who sought their own immortality through the art they collected, and his preference for collectors who acquired the art of artists of their own day. He found that such collectors “are necessarily deeper and warmer in their response to art than those collectors who rely upon the test of time and hold themselves aloof from the art of their contemporaries.”Forbes Watson, “The Benefit of Great Art,” Magazine of Art 3 (1941): 113–14. You ask my opinion of Forbes Watson's editorial in the Magazine of Art about the Mellon Gallery. I do not like it at all. I think it is supercilious and critical. It seems to me a very ill-chosen moment to sneer at a great benefactor. He speaks of the tremendous amount of good that President Roosevelt has done towards the arts in America. I think it is a little bit too soon to judge that. I do not doubt that many deserving and impecunious young artists have been encouraged, and this encouragement may be the determining factor in their lives which will help them go forward to undreamed-of successes. If this proves to be the case I think the work is well worthwhile. On the other hand I am afraid that it is pretty certain that this work has encouraged a lot of second-rate artists who are more or less hopeless and never will amount to anything anyway [but] to waste the public's money and their own time in trying to do things, which they are unable to do. However, I am not disposed to be critical towards the President. Nothing succeeds like success, and if it becomes apparent ten years from now that great artists have been produced in this way, perhaps Forbes Watson's estimate of the President will prove to be correct. But I feel very sure that his estimate of the benefactors of the National Gallery is not fair and correct, and wish that he had had the grace to keep his somewhat stinging remarks in check at this particular moment.Edward W. Forbes to Mildred Barnes Bliss, April 14, 1941. Dumbarton Oaks history files, Edward W. Forbes correspondence, Dumbarton Oaks Archives. I sense completely the upheaval due to the structural changes, and you will understand without my saying so that inevitably a sense of wistfulness accompanies our full recognition of the desirability—not to say the inevitability—of the new dispositions. We know it will be well done and that Dumbarton Oaks will gain rather than suffer. And perhaps when we next see it, the fact that it could no longer be a home to live in may ease the soreness just a bit.Mildred Barnes Bliss to John S. Thacher, July 11, 1941, Administrative files, John S. Thacher correspondence, 1939–1949, Dumbarton Oaks Archives. Mildred Barnes Bliss may have taken comfort from Beatrix Farrand’s endorsement of the scheme. Farrand wrote Bliss on June 2, 1941: “Green Oakdom sends its love with mine. After talk with Thacher feel deeply happy as alterations suggested will give needed working library and study space and leave beauty of library and drawing room and music room unimpaired. Heartily approve wisdom of making new library the heart of establishment. Hate to see our rooms go but believe solution far sighted and in oakly spirit.” Rare Book Collection, Beatrix Farrand correspondence file, Dumbarton Oaks. I have had you on my mind constantly these days, dearest Mildred, that I must write to you now, while I look out of my window and see the hills across the frontier, in that country that has meant so much to both of us, all our lives. Probably no one knows, as I know, what you are feeling now. And you know what is passing through me. It’s hard to keep one’s bearing in such a moment—but it’s a consolation to me to remember you, and I know you’ll read in these lines much that I’d like to say and would say if my first concern were not that this should reach you surely and as quickly as may be.Royall Tyler to Mildred Barnes Bliss, May 18, 1941. Both the Blisses and the Tylers engaged in activities directly related to the war situation. After Robert Woods Bliss’s return to Washington, D.C., from California in 1942, he became a consultant to the Department of State (1942–1943), a special assistant to Secretary of State Cordell HullCordell Hull (1871–1955), a Tennessee politician who was the longest serving U.S. Secretary of State (1933–1944). Hull received the Nobel Peace Prize in 1945 for his role in establishing the United Nations. (1944), and a consultant to Secretary of State Edward StettiniusEdward Reilly Stettinius Jr. (1900–1949), an Illinois politician who was U.S. Secretary of State from 1944 to 1945. (1944–1945). Bliss was also a member of the Committee on Axis-Appropriated Property,Francis Henry Taylor (1903–1957), director of the Metropolitan Museum of Art, served as chairman; John Walker III (1906–1995), director of the National Gallery of Art, served as special adviser; and Daniel C. Rich (1904–1976), director of the Art Institute of Chicago, served as a committee member. established to compile from all available sources a record of enemy looting in Europe. This committee held a special meeting on April 15, 1944, at the National Gallery of Art, primarily in order to consider steps to be recommended for the customs control of looted art objects entering the United States, and to review the commission's policy with regard to receiving claims from private individuals for looted art objects. Royall Tyler took unpaid leave from the Economic and Financial Section of the League of Nations in Geneva to work in Switzerland for the U.S. Central Intelligence network, run by Allen Dulles. Between 1943 and 1949, he served as the Swiss representative of the United Nations Relief and Rehabilitation Administration (UNRRA)TheUnited Nations Relief and Rehabilitation Administration (UNRRA), an international relief agency representing forty-four “united nations,” including the United States. Founded in 1943, UNRRA became part of the United Nations in 1945. Its purpose was to “plan, co-ordinate, administer, or arrange for the administration of measures for the relief of victims of war in any area under the control of any of the United Nations through the provision of food, fuel, clothing, shelter and other basic necessities, medical and other essential services.” “Agreement for United Nations Relief and Rehabilitation Administration, November 9, 1943,” in Pillars of Peace pamphlet 4 (Carlisle Barracks, Pa.: Army Information School,May 1946), 1. and, in 1944, as the special attaché to the U.S. Legation in Bern. After the war, he also worked in Paris, first as head of the Paris field office of the International Bank for Reconstruction and DevelopmentThe International Bank for Reconstruction and Development (IBRD), an international financial institution established in 1944 with the mission of financing the reconstruction of European nations devastated by the Second World War. It became operational in 1946 and offered loans to developing countries. The IBRD was the first of the five member institutions that made up the World Bank, headquartered in Washington, D.C. (1946–1949) and then as the European representative of the National Committee for a Free Europe,The National Committee for a Free Europe, an American anti-Communist organization, was founded on March 17, 1949, in New York. The committee worked for the spread of American influence in Europe in opposition to Soviet influence. The committee was founded by Allen Dulles, a member of the newly created U.S. Central Intelligence Agency. The committee created and oversaw the anti-Communist broadcast service Radio Free Europe. an American anti-Communist organization founded in 1949 with the participation of Allen Dulles, with whom he would also help found the Free Europe College, in Strasbourg, France.The Free Europe College (also known as the Free Europe University in Exile), a university for refugee students exiled from Soviet areas that was founded on November 1, 1951, at the La Robertsau castle near Strasbourg. Its program was to make possible an education in the Western tradition for refugee Soviet students in the hope that they would develop into future leaders. Four Americans under the direction of Allen Dulles set the ideology of the school: James Burnham (1905–1987), DeWitt Clinton Poole Jr. (1885–1952), Royall Tyler (1884–1953), and Adolf Augustus Berle Jr. (1895–1971). See Giles Scott-Smith, “The Free University in Strasbourg: U.S. State-Private Networks and Academic ‘Rollback,’” Journal of Cold War Studies 16, no. 2 (Spring 1914): 77–107. Elisina Tyler, having joined Royall Tyler in Geneva in 1942, worked there to obtain funding for children’s refugee centers in France and to acquire radio photographic machines that would allow the Swiss Red Cross to examine for tuberculosis in French refugee children that entered Switzerland. After the war, this equipment was to be sent to France as the property of the Edith Wharton Foundation, which Elisina Tyler administered. The Blisses were supporters of both enterprises.On April 7, 1942, Elisina Tyler wrote the Blisses: “The gift that was transmitted me through Mlle Malye [Thérèse Malye (1866–1951), who had been Mildred Barnes Bliss’s Parisian secretary] took a very long time on the way, but it reached me at last safely. It has been applied to one of the colonies of refugee children from Dunkerque, established at the Château de la Guette, near Clermont-Ferrand. The persons in charge of this group are personally known to me. I have faith in their capacity and willingness to do all that is best for the children and reports are sent to me regularly. So, dearest Milrobs, I hope you will feel some comfort in the knowledge that your kind and generous help is doing good where it was sorely needed.” Beginning in 1939, the Château de la Guette in Villeneuve-Saint-Denis in Seine-et-Marne, a property of Baroness Germaine de Rothschild (1884–1975), was used as a refugee children’s center run by the OSE (Oeuvre de Secours aux Enfants). Dumbarton Oaks Conversations: (left) Meeting in the Music Room, 1944; (right) American, British, and Soviet delegates to the first phase of the Conversations assembling for a group photograph on the North Vista at Dumbarton Oaks, April 21, 1944, Stettinius Papers , Special Collections Department, University of Virginia Library. The Second World War also affected the embryonic Dumbarton Oaks Research Library and Collection. It had opened more than a year after the outbreak of the Second World War, yet, at first, the war seemed to have little impact on the institution. However, with the Japanese bombing of Pearl Harbor on December 7, 1941, and America’s entry into the conflict, Dumbarton Oaks quickly shifted from the academic to the pragmatic. It lost several Fellows to the war effort,These included Mary Emma Crane and Florence Eli Day (Junior Fellows, 1941–1942), who left to do work with the Department of War, and Milton V. Anastos (Junior Fellow, 1941–1942), who in 1941 staffed the Office of Strategic Services’ Research and Analysis “Greek Desk” headed by the Harvard University historian William L. Langer (1896–1977). Anastos returned to Dumbarton Oaks as a Junior Fellow in 1942 and was later promoted to Fellow (1944–1946), assistant professor of Byzantine Theology (1946–1951), associate professor of Byzantine Theology (1951–1960), and professor of Byzantine Theology (1960–1964). and most of the collection was packed and sent to distant locations for safekeeping until the end of the war, in 1945.Many art objects were sent to the Fogg Museum in Cambridge, Massachusetts, while antique rugs were sent to the Nelson-Atkins Museum of Art in Kansas City, Missouri. 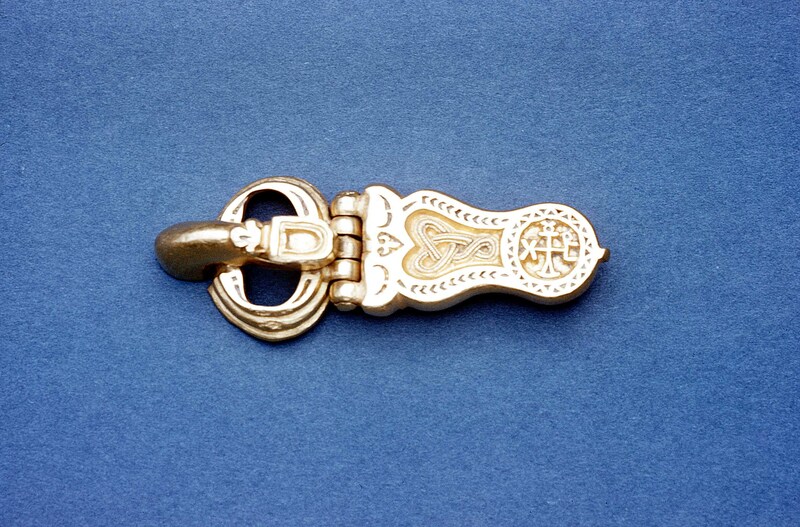 Smaller precious objects were stored in the City Bank Farmers vault in New York City. See John S. Thacher to Mildred Barnes Bliss, May 12, 1942, Administrative files, John S. Thacher correspondence, 1939–1949, Dumbarton Oaks Archives. The Fellows and scholars who remained at Dumbarton Oaks were charged with providing the war department with lists of potentially endangered sites, monuments, and artworks in Hungary, Bulgaria, Germany, Greece, Yugoslavia, Romania, and Tunisia, in order to help insure their protection.This was collateral to work being done by an organization called American Defense, Harvard Group. This group would later become a subcommittee of the American Commission for the Protection and Salvage of Artistic and Historic Monuments in War Areas (The Roberts Commission). Beginning in January 1943, Fogg Art Museum Associate Director Paul J. Sachs engaged the committee to prepare lists and manuals to aid in the protection of artworks and monuments that might be affected by the Second World War. The ultimate goal was to enable the Allied armed forces to avoid unnecessary damage or destruction of monuments and to identify those that were in the hands of the Axis powers. According to records at the Harvard University Archives, the group eventually numbered 1,700 members with 240 active volunteers, including Fellows and scholars at Dumbarton Oaks. In 1942, through Robert Woods Bliss’s State Department connections and with the approval of Harvard University, Dumbarton Oaks invited the National Defense Research Committee to occupy the vacated museum wings and part of the Main House.The National Defense Research Committee was chaired by Harvard University president James Bryant Conant (1893–1978), and its work, in part, was planning the development of the world’s first controlled nuclear chain reaction—a critical step in attaining an atomic bomb—which would lead to the establishment of the Manhattan Project and the Los Alamos National Laboratory. In 1943, the committee’s work at Dumbarton Oaks famously led Robert Woods Bliss to remark: “Dumbarton Oaks now presents a strange juxtaposition. One half of the building is devoted to evolving means to kill human beings more speedily and in greater numbers; the other half continues to develop greater knowledge on the artistic creation of man. One works for the development of the most hideous activity of war, the other for the discovery and preservation of the beauty of human expression.” Address by Robert Woods Bliss to the Harvard Club of Washington, D.C., April 8, 1943, Bliss Papers, HUGFP 76.16, series 4, box 2. Later, between August 21 and October 17, 1944, the U.S. Department of State used the facilities of Dumbarton Oaks to host what have come to be called the “Dumbarton Oaks Conversations,” a series of informal conferences among the Americans, British, Russians, and Chinese on the general question of an international organization for the maintenance of peace and security. These “conversations” led to the signing of the United Nations charter in 1945.These meetings were officially known as the Washington Conversations on International Peace and Security Organization, Dumbarton Oaks. Delegations from China, the Soviet Union, the United Kingdom, and the United States deliberated over proposals for the establishment of an organization to maintain peace and security in the world. Among the representatives to the Dumbarton Oaks Conversations were Soviet Ambassador to the United States Andrei Gromyko; United States Secretary of State Cordell Hull; Chinese Ambassador to the United Kingdom Wellington Koo; and British Ambassador to the United States Edward Wood (Earl of Halifax), each of whom chaired his respective delegation. The Dumbarton Oaks Conversations were held in two phases, since the Russian and Chinese delegations could not meet at the same time. In the first, representatives of the Soviet Union, the United Kingdom, and the United States convened between August 21 and September 28. In the second, representatives of China, the United Kingdom, and the United States held discussions between September 29 and October 7. The stated purposes of the international organization under discussion at the Dumbarton Oaks Conversations were: to maintain international peace and security, to take effective collective measures for the prevention and removal of threats to the peace and the suppression of acts of aggression or other breaches of the peace, and to bring about by peaceful means adjustment or settlement of international disputes that may lead to a breach of the peace; to develop friendly relations among nations and to take other appropriate measures to strengthen universal peace; to achieve international cooperation in the solution of international economic, social, and other humanitarian problems; and to afford a center for harmonizing the actions of nations in the achievement of these common ends. The delegates to the Dumbarton Oaks Conversations agreed on a tentative proposal to meet these goals on October 7, 1944. In his Witness to History, 1929–1969, C. E. Bohlen observed that “Dumbarton Oaks settled all but two issues regarding the organization of the United Nations—the voting procedure in the Security Council and the Soviet pressure for the admission of all sixteen of the Soviet republics to the General Assembly. It took the conference at Yalta, plus further negotiations with Moscow, before the issues were solved.” Robert Woods Bliss was instrumental in arranging for the Dumbarton Oaks Conversations. Already in June 1942, on behalf of the Trustees for Harvard University, he had offered to place the facilities of Dumbarton Oaks at the disposal of Secretary of State Cordell Hull. When, in June 1944, the State Department found that Dumbarton Oaks could “comfortably accommodate” the delegates and that “the environment [was] ideal,” the offer was renewed by James Bryant Conant, president of Harvard University. See Robert C. Hilderbrand, Dumbarton Oaks: The Origins of the United Nations and the Search for Postwar Security (Chapel Hill and London: University of North Carolina Press, 1990). During the war years of 1941 to 1945, Dumbarton Oaks also undertook other activities to contribute to the war effort. The gardens were opened for relief efforts, including the British War Relief for Refugee Children in England (1942), the Scottish Evacuation Plans Committee for the benefit of the Scottish War Relief (1942), and the Commission for Polish Relief (1943). On at least two occasions in 1944, buffet suppers were served in the gardens to convalescent service men from Walter Reed Hospital, under the auspices of the Home Hospitality Committee, part of the Civilian War Services. Dumbarton Oaks also assisted the arts and skills corps of the American Red Cross in their work at Forest Glen Hospital, an annex of Walter Reed Hospital. Dumbarton Oaks lent equipment, supplies, and personnel to install a small bindery for the purpose of teaching convalescent soldiers the art of bookbinding. The Dumbarton Oaks greenhouse served as a receiving center for flowers and plants that were contributed by the people of Georgetown, to be distributed by the American Red Cross to the various hospitals throughout Washington, D.C.Paul Sachs, “Dumbarton Oaks,” Official Register of Harvard University: Issue Containing the Report of the President of Harvard College and Reports of Departments for 1944–45 45, no. 30 (December 1, 1948): 383. About the Coptic wooden panel with the Sacrifice of Abraham, I’d like to add this to what I said in the other letter. . . . The colour and patina of the panel are intoxicating. Great as my confidence is in the ability of so unusual an object to protect itself on the Am. market, I can’t always sleep at night thinking of the dangers that panel runs—indeed it may have succumbed already. But if it hasn’t, do have a try for it. . . . The great art of life is to convert one’s disappointments into opportunities ¿no es verdad, compadre?“Isn’t it, friend?” Royall Tyler to Robert Woods Bliss, September 4, 1941. 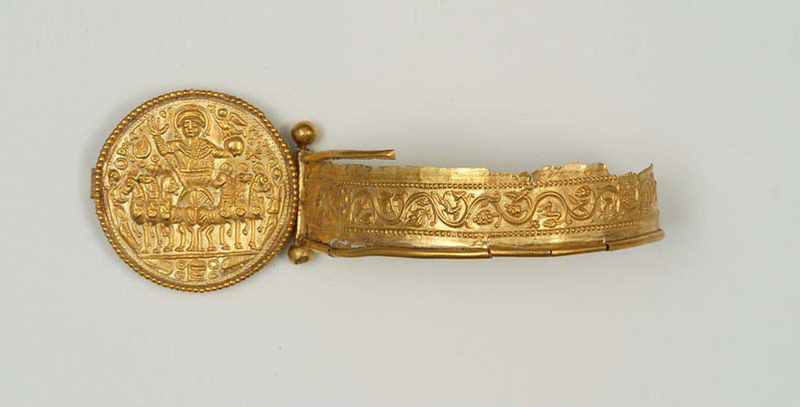 Isiac Cult Scene, BZ.1942.1, Byzantine Collection, Dumbarton Oaks Museum. Over a month later, on October 13, Tyler was still lobbying for the panel: “I long to hear that that Abraham and Isaac panelBZ.1941.7. has been acquired for D.O. How could those good Kunstgelehrte“Art scholars.” have turned it down? I’m glad to hear from Jack Thacher that EttinghausenRichard Ettinghausen (1906–1979), a historian of Islamic art and chief curator of the Freer Gallery in Washington, D.C. realised what it was.”Royall Tyler to Mildred Barnes Bliss, October 13, 1941. Predictably, the Blisses acquired the panel for Dumbarton Oaks that month on the strength of Tyler’s recommendation. 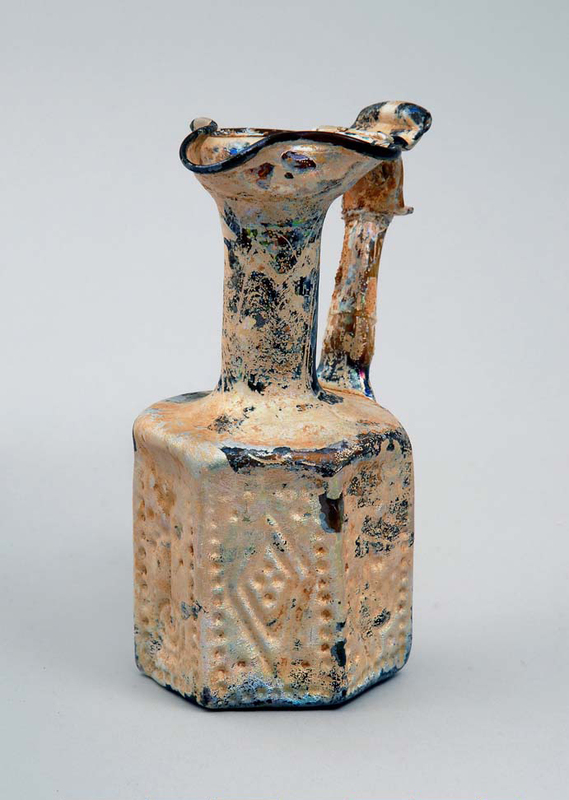 After the war, between 1946 and 1949, Dumbarton Oaks acquired eighty-four Byzantine-related artworks, thirty-seven of which were outright gifts and the majority of the rest of which came from the New York Brummer Gallery, acquired from the Joseph Brummer collection after his death in 1947, or from the New York dealers Dikran Garabed Kelekian and Jacob Hirsch.Jacob Hirsch (1874–1955), a German-Swiss numismatist, archaeologist, and antiquities dealer who, during the war years, had a business at 30 West 54th Street in New York. Not very much opportunity for seeing works of art. The Museum here is closed, except for a few rooms, not including any pictures. There have been some good exhibitions at Zurich and Berne, which I was able to enjoy last summer—and here, too, on a more modest scale. It’s quite amazing what these quiet Swiss possess, in the way of painting, without making any fuss about it. The Rheinhardt [sic] Coll. at WinterthurThe art collection of Oskar Reinhart (1885–1965) is now in the Museum Oskar Reinhart located in his former home, Am Römerholz, in Winterthur, Switzerland. is perhaps the best-chosen collection of XIX Cent. French painting I know. And that loan show “aus Züricher Privatbesitz”“From Zurich private ownership.” last summer was an eye-opener. Yesterday, here, I had the altogether unexpected and astonishing, dream-like experience of walking into a place where there were a superb big Vermeer, two real and very remarkable Rembrandts, and a most lovely Scottish Landscape by Ruysdael—among other things. So you see, it does go on happening, in spite of all. The antiquity dealers here, and in general in this country, have nothing much in our line, and no Byzantine, and the Church treasures are all put away, and also the few (but grand) private collections of that sort of thing. Hacha, PC.B.039, Pre-Columbian Collection, Dumbarton Oaks Museum. On September 28, 1949, Tyler was forced to retire as senior representative of the World Bank’s Treasurer in Europe because he had reached the mandatory retirement age of sixty-five. In order to continue to earn a living, he took a temporary position as financial consultant to the United Nations Economic Survey Mission for the Middle East, which the Palestine Conciliation Commission had established on August 23, 1949, to deal with the question of Palestinian refugees. This position allowed Tyler to travel in the Middle East and visit sites and see artworks that he had previously not seen. 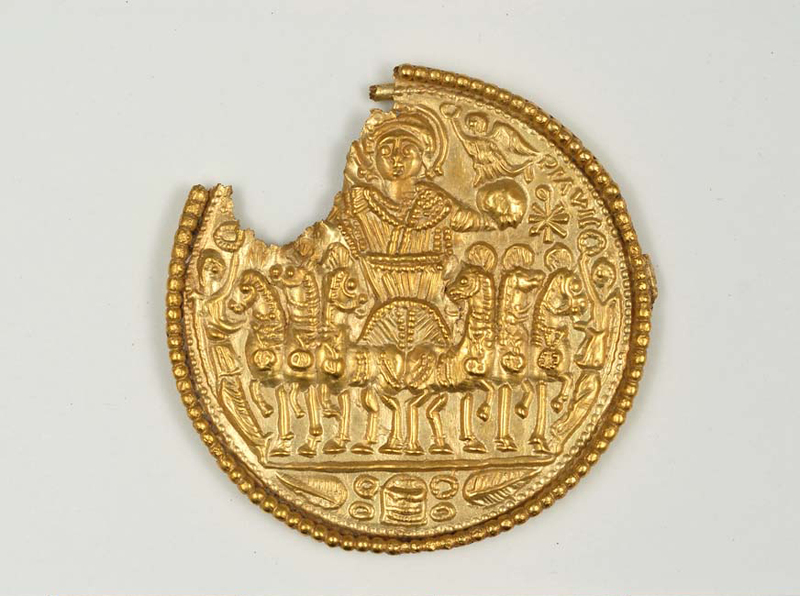 Equally importantly, he was able to meet directly with Middle Eastern dealers, such as Elias (Elie) Bustros in Beirut, Lebanon, who offered him several Byzantine objects that the Blisses would acquire.BZ.1950.19, BZ.1950.24, BZ.1950.25, BZ.1950.26–27, BZ.1950.28, BZ.1950.29, BZ.1950.30, BZ.1950.32, and BZ.1950.33. Although the Blisses continued to acquire such objects for Dumbarton Oaks, dealers increasingly offered art directly to the institution, and the Blisses simply made monetary gifts for their acquisition. Indeed, the Blisses were turning to other collecting interests. In the 1940s, Robert Woods Bliss was actively increasing his Pre-Columbian art collection and added over 170 pieces during the decade. He bought principally from the Los Angeles dealer Earl StendahlEarl L. Stendahl (1888–1966, born Earl Leopold Steendahl), an American art dealer in Los Angeles and New York who was known for promoting California impressionist paintings, modern art, and especially Pre-Columbian art. and from the New York dealers Ernest Brummer, Good Neighbor Imports Inc.,Good Neighbor Imports Inc., primarily a modern textile importing company located at 16 East 50th Street in New York. Charles L. Morley,Charles L. Morley, a New York antiquities dealer located at 25 East 83rd Street in New York. William Spratling,William Spratling(1900–1967), an American silver designer, architect, artist, writer, teacher, and sometime antiquities dealer. Spratling lectured at the National University of Mexico’s Summer School between 1926 and 1928 and bought a home in Taxco, Mexico, in 1928. He amassed a large collection of Pre-Columbian figurines from Remojadas, Veracruz, which he donated, in large part, to the museum of the Universidad Nacional Autónoma de México in 1959. He also donated hundreds of Pre-Columbian objects to a museum in Taxco that now bears his name. and John C. Wise.John C. Wise (1902–1989), a New York collector and dealer of Pre-Columbian art in the Hotel Westbury at 15 East 69th Street. Wise had acquired half of collector Minor C. Keith’s Pre-Columbian gold, jade, ceramic, stone, and textile artworks, when they entered the market after Keith’s death, in 1929. In 1975, Wise and his wife established the Nora and John Wise collection of South American Pre-Columbian art at the Dallas Museum of Fine Arts. He also donated fine art to the Cleveland Museum, the Brooklyn Museum, and the Metropolitan Museum of Art. Bliss also acquired from private collectors, including Karl CurtisKarl Curtis, an archaeologist and collector who lived in Panama. of Panama, Olga KellyOlga Kelly (1890–1979), a Baltimore collector of antiquities and the daughter of Dr. Howard A. Kelly, a surgeon and professor at Johns Hopkins University. She collected Pre-Columbian art in Mexico when she accompanied her father there. of Baltimore, Vladimir G. SimkhovitchVladimir G. Simkhovitch (1874–1959), a Russian-born New York collector, author, and professor of economics at Columbia University in New York. of New York, and Walram von SchoelerBaron Walram-Voystingus Albert Alexander Von Schoeler, a Prussian-born collector, diplomat, and archaeologist who lived in Lima, Peru, and New York. of Lima, Peru, and New York. Much of Bliss’s Pre-Columbian collection would be exhibited at the National Gallery of Art between 1947 and 1962.See Winifred Mallon, “Bliss Collection of Art Exhibited; Indigenous Work Done in the Americas Placed on Display in the National Gallery,” New York Times, April 19, 1947. Plate from Samuel Curtis, The Beauties of Flora (1820), acquired by Mildred Bliss in the 1940s. In 1947, Mildred Barnes Bliss also began to increase her collection of rare botanical and garden design books.See Therese O’Malley, “Mildred Barnes Bliss’s Garden Library at Dumbarton Oaks,” in A Home of the Humanities: The Collecting and Patronage of Mildred and Robert Woods Bliss, ed. James N. Carder (Washington, D.C.: Dumbarton Oaks Research Library and Collection, 2010), 139. She collected, in consultation with Beatrix Farrand, rare illustrated volumes in order to create a garden research library to serve “Visiting or Exchange Fellowships to or from this or other countries for the individual study of Garden Design and Ornament,”Dumbarton Oaks Garden Endowment Fund Number I, July 10, 1951, Blissiana files, Bliss Gifts to Harvard University, Dumbarton Oaks Archives. fellowships that were first funded with a quarter-million dollar Garden Endowment Fund bequest that the Blisses gave to Harvard University on July 10, 1951. Farrand advised Bliss to build “as scholarly a garden library as that you have for Byzantium and the middle ages” and “a reserve alcove where the rare books, such as the Kip,Johannes (Jan) Kip (1652/53–1722), a Dutch draughtsman, engraver, and print dealer who specialized in engraved views of English country houses and their gardens. LeRougeGeorges-Louis Le Rouge (ca. 1712–1790), a German-born French cartographer, engraver, and architect. In 1773, Le Rouge began publishing plans and views of gardens. and the rare botany books (Loudon,John Claudius Loudon (1783–1843), a Scottish botanist, garden designer, cemetery designer, author, and garden periodical editor. the great Iris book,Probably Richard Irwin Lynch, The Book of the Iris . . . ; with a chapter on the cultivation of the Oncocyclus section written for this work by the late Rev. Henry Ewbank (London and New York: J. Lane, 1904). etc.) should be part of both collections.”Beatrix Jones Farrand to Mildred Barnes Bliss, May 26, 1947, Rare Book Collection, Beatrix Farrand correspondence file, Dumbarton Oaks. Cited in Elisabeth Blair MacDougall, “Prelude: Landscape Studies, 1952–1972,” in Perspectives on Garden Histories, ed. Michel Conan (Washington, D.C.: Dumbarton Oaks Research Library and Collection, 1999), 18. Both the Robert Woods Bliss Collection of Pre-Columbian Art and Mildred Barnes Bliss’s Garden Library would later be installed in new buildings commissioned by the Blisses and first opened in 1963. I needn’t tell you what this means to me. Hayford stood in my mind for things as they were before 1939, and for my chance of getting back, in some modest degree, to them: resuming our work on Byzantine art. He also stood for more than that. As you know I’m very fond of him personally. Since the news of his stroke reached me, I feel as if my own future had been jeopardized, and measure the emptiness of my illusions about recreating any part of one’s own plans. You know all this, of course, but it’s a need with me to tell you, all the same. Poor Hayford! when he’d thought he had at length divested himself of his business cares sufficiently to go back to study. I can’t keep my mind off him for long and look at every telegram that comes in, divided between hope that it may say he’s still alive, and fear lest one ought to be hoping that he’s out of it all. We have seen the Peirce miniature mosaic, which is a wonder. I am about to write “Polly” to tell her how grateful and pleased we are to have at Dumbarton Oaks such an object as a memorial to Hayford. She has left at Dumbarton Oaks, as a loan, the rock-crystal ringBZ.1963.6. (?) and a red porphyry head,BZ.1963.5. both of which are very fine. In addition, she has deposited at Dumbarton Oaks, also on loan, that part of the collection of coins which was in America with the assurance that those coming from Europe will be added upon arrival. I have not seen the coins yet but Jack Thacher says they are very fine. Interior, west end, looking south southwest, 1948, HS.BIA.1666, The Byzantine Institute and Dumbarton Oaks Fieldwork Records and Papers, ca. late 1920s–2000s, Image Collections and Fieldwork Archives, Dumbarton Oaks, Trustees for Harvard University, Washington, D.C. The Blisses returned to Europe in 1947, visited friends in Stockholm, were reunited with the Tylers in Paris, and then made their long-awaited visit to Istanbul to see the Byzantine monuments of that city and inspect the work of the Byzantine Institute. They had hoped that Royall Tyler could accompany them, but his assignment as chief financial consultant to the United Nations Economic Survey MissionThe United Nations Economic Survey Mission for the Middle East had been established by the Palestine Conciliation Commission on August 23, 1949, to deal with the question of Palestinian refugees. prevented it. Robert Woods Bliss had written him on June 21, 1947: “Incidentally, we are going on eventually to Istanbul to see the Santa Sofia and all the rest of the great Byzantine monuments in that city. Couldn’t you arrange to go with us?!?! !” Mildred Barnes Bliss sent him a card from Istanbul,See Robert Woods Bliss to Royall Tyler, June 21, 1947. the present whereabouts of which are unknown. However, she also wrote Bernard Berenson from Istanbul at about the same time, and what she wrote him probably echoed her words to Tyler: “I [saw] ‘Aya Sofia on Monday! No work of man that I have seen conveys such a sense of space & not even a humming bird soars & floats more easily. What that great church must have been before those Vulcherous Latins looted it!”Mildred Barnes Bliss to Bernard Berenson from Istanbul, October 21, 1947, Villa I Tatti—the Harvard University Center for Renaissance Studies Archives, Bliss correspondence file.